Premium WordPress Theme Shops are som popular in the market today, But there are few themes are best for you bloggers, Today i am talking about the TeslaThemes, which provides Multipurpose WordPress Themes coupled with clean design and advanced. Personalize the visual appearance and functionality of your site using TeslaThemes’ Handcrafted Layouts. Multipurpose WordPress Templates represent the best solution for all bloggers, developers, freelancers, agencies or corporate websites. All Personalize the look and functionality of your site using Awesome Layouts. Below are Popular WordPress Themes From TeslaThemes. Zoomy is a professional Photography WordPress Theme with minimalist, fresh, responsive design and some great features to help you showcase your photos or creative works in a stylish way. Retina Ready, 10 custom posts, 5 custom widgets, built-in shortcodes, WPML compatibility, social media integration, 6 page templates, featured video support, beautiful sliders and galleries and much more. Novelty is a Premium Magazine WordPress Theme with bold, modern, responsive design and lots of great features to power your news or content sharing website. features like: featured image slider, tabbed widgets, featured posts, custom shortcodes, custom posts, social media integration and much more. Display is a Creative WordPress Theme with clean, modern, responsive design and a wide set of features powered by Tesla Framework. Features like: beautiful parallax effect, filterable portfolio, featured image slider, 12 custom posts, 7 custom widgets, 6 page templates, built-in shortcodes, social media integration and more. iCook is a Food/Recipe WordPress Theme with clean, responsive design and some nice features specially created for your cuisine related site. Includes a beautiful recipe gallery with filter; to categorize and showcase your recipes, custom shortcodes for recipes; to easily list the ingredients of your favorite dishes; popular recipes widget (based on views) and much more. Electra is a premium WordPress Theme with clean, airy, responsive design and a lot of customization options and preview variations of Home page, portfolio, blog, gallery, etc. It includes the amazing Revolution Slider and a handy drag & drop editor, awesome Home page slider, filterable portfolio, beautiful galleries, different background patters, rich color changer, light/dark color skins, boxed/wide layout styles, additional page options and much more. Revoke is a premium theme with clean and modern design, coupled with advanced features and powerful customization possibilities. Has awesome image sliders with smooth transition effects, 7 custom widgets, filterable and animated portfolio, built-in shortcodes, social media networks integration, AJAX contact form, Google Maps, Flick photostream and much more. All themes are hand crafted with HTML5 and CSS3. All themes are fully responsive and fits in all major screen resolutions. All themes are SEO Optimized that works with other SEO plugins too. All themes come with varied range of Google fonts, color schemes and shortcodes. All themes built-in Shortcodes to create special offers, buttons, pricing tables, tabs, team members and more. Another the best importent, all themes powered by Tesla Framework, a powerful frame and administration tool that allows you to easily customize the look and functionality of your theme, without advanced knowledge of web development. It gives you the possibility to customize and manage your theme settings from a dedicated area within your WordPress Admin. If you are looking to buy some theme for your magazine or blogging site, freelancers, agencies and business sites; here are some of the most popular WordPress themes from TeslaThemes that you can consider buying. Get Tesla WordPress Theme for Free by interacting with our community. Use our theme to highlight your recent works or services in a stylish manner. 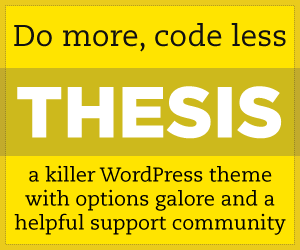 Top 6 popular WordPress Themes From TeslaThemes for you to choose.